We are so excited to be hosting a talk by Edward Ayers next week! We hope you’ll join us on March 29, 2018 from 4-6 PM in 220 Main Library. 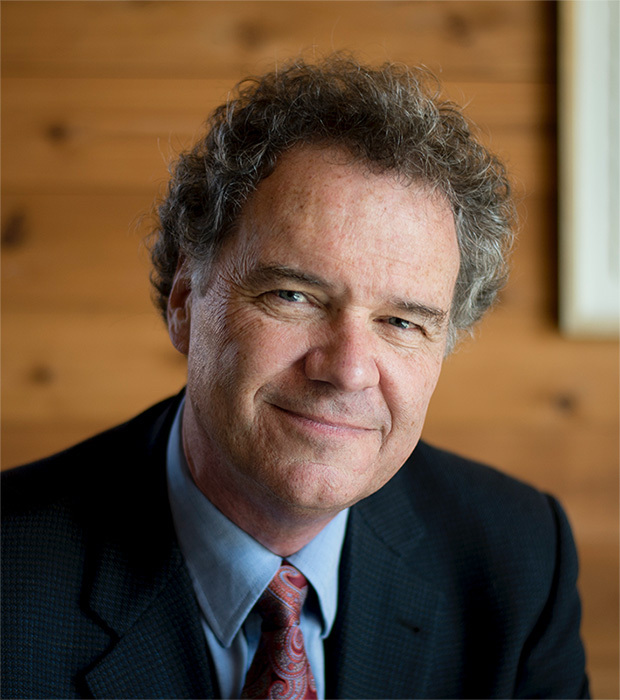 Edward Ayers has been named National Professor of the Year, received the National Humanities Medal from President Obama at the White House, won the Bancroft Prize and Beveridge Prize in American history, and was a finalist for the National Book Award and the Pulitzer Prize. He has collaborated on major digital history projects including the Valley of the Shadow, American Panorama, and Bunk, and is one of the co-hosts for BackStory, a popular podcast about American history. He is Tucker-Boatwright Professor of the Humanities and president emeritus at the University of Richmond as well as former Dean of Arts and Sciences at the University of Virginia. His most recent book is The Thin Light of Freedom: The Civil War and Emancipation in the Heart of America, published in 2017 by W. W. Norton. His talk will be on “Twenty-Five Years in Digital History and Counting”. Edward Ayers began a digital project just before the World Wide emerged and has been pursuing one project or several projects ever since. His current work focuses on the two poles of possibility in the medium: advanced projects in visualizing processes of history at the Digital Scholarship Lab at the University of Richmond and a public-facing project in Bunk, curating representations of the American past for a popular audience. On Monday, March 5, the Scholarly Commons Interns (Matt and Clay) hosted the first Project Forum Discussion. 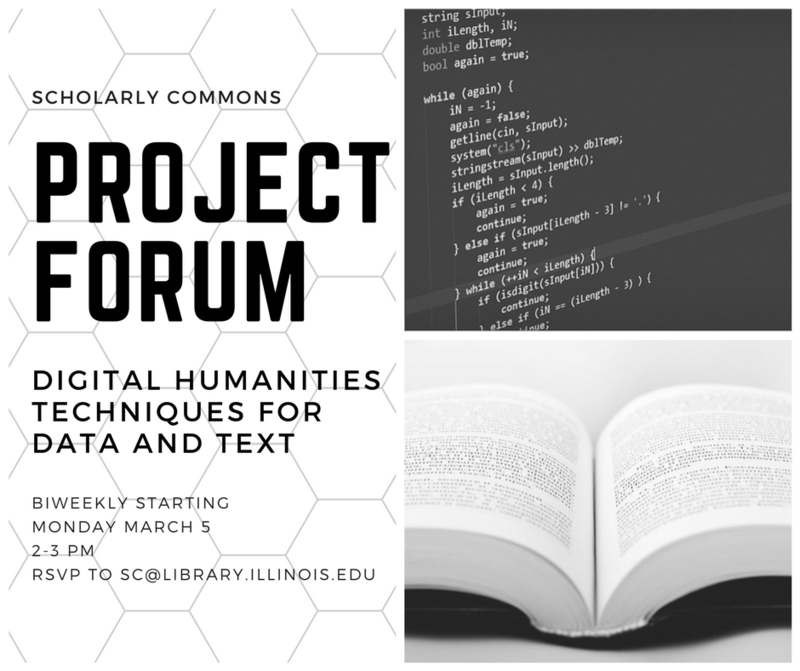 In order to address the variety of projects and scholarly backgrounds, we decided that our conversations should be organized around presentations of projects and related readings from other Digital Humanities scholars or related research. We began by discussing some consistent topics or questions that are present in each of our Digital Humanities projects and how we conceptualize them. These questions will not only guide our reading discussion on this article, but also further conversations as we read work under the DH umbrella. 1. 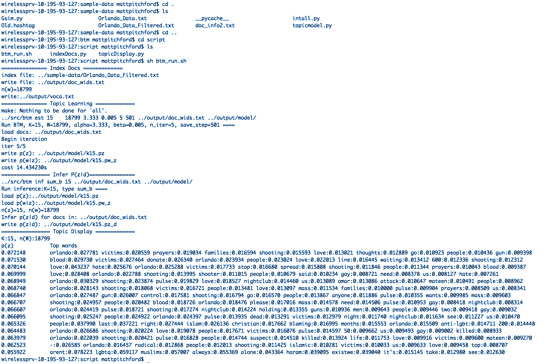 How does the article make its DH work legible to other scholars / fields? 2. How does the article display information? 3. What affordances or impact does the digital platform (artifact) have on the study? 4. How does the article conceptualize gaps in the data? If you would like to participate in our next discussion, please join us Monday, March 26, at 2 pm in Library 220. The Survey Research Laboratory is offering two webinars on survey research methodology during the Spring 2018 semester. The webinars are free to University faculty, staff and students. All webinars begin at 12:00 p.m.
You will receive a reminder about the webinar for which you have registered shortly before the date. Webinar notes will be available here shortly before the webinar. This webinar will cover the basics of sampling methodology: the importance of using proper sampling techniques, determining the appropriate sampling methodology, and calculating necessary sample sizes. The discussion also will include simple random sampling, cluster sampling, stratified sampling, and multistage samples. Designing a good questionnaire is a complicated process that includes decisions ranging from questionnaire format and question order to question wording and response categories. The design should aid respondent understanding of questions, recall, and judgment formation, and minimize response editing because of social desirability. This workshop will review basic strategies for achieving these goals. What is a “good” response rate, and why does it matter? These are common questions that we see at the Survey Research Laboratory. This webinar will provide a basic overview of survey response, cooperation and refusal rates, their uses, and why they are often imperfect indicators of survey quality and representativeness. The sun is shining, the birds are singing, and it’s a new semester at the University of Illinois at Urbana-Champaign. 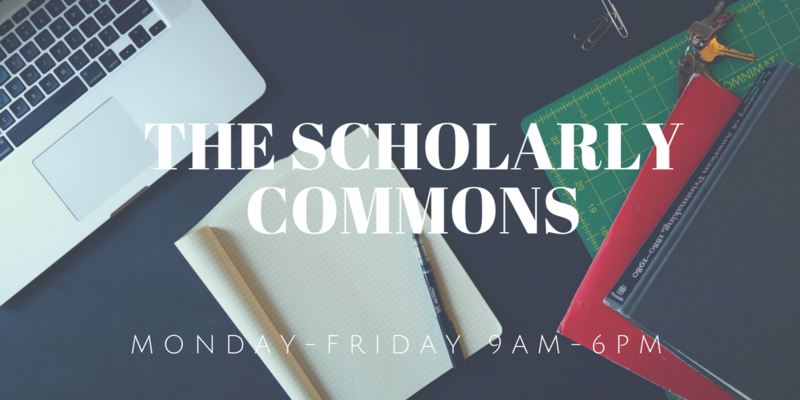 And with that new semester come all of the happenings at the Scholarly Commons. We have some great things coming up! We’re back to our normal hours. Come visit us from 9 AM – 6 PM, Monday – Friday. We hope to see you soon! Survey Research Lab open hours are back! Walk-ins are accepted from 2 – 5 PM every Thursday, or you can make an advance appointment by emailing Linda Owens and Karen Retzer (please copy both addresses on your email). During Open Horus, the Survey Research Lab can look at sampling, questionnaire design, and analysis. Come in with questions about the dos and don’ts of survey wording, recommendations for designing a sampling strategy, or advice on drafting a questionnaire! 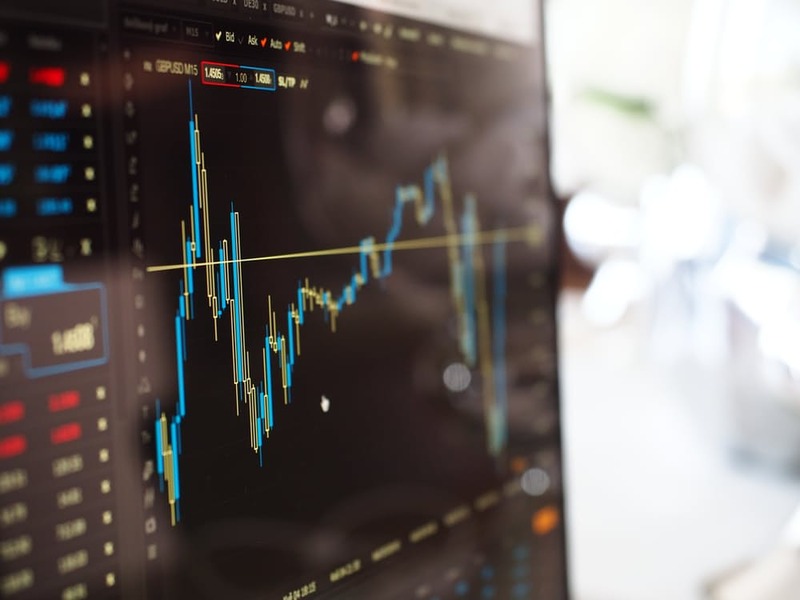 Starting January 8th and running through the end of the semester, CITL graduate students will provide free statistical consulting in the Scholarly Commons. CITL consulting will be 11 AM – 4 PM every Monday – Friday in office 306H. Consultants work with SPSS, ATLAS.ti, Stata, R, and SAS. Make an appointment for your consultation by emailing citl-data@illinois.edu. Our Savvy Researcher Workshop calendar is finally up! New offerings this semester include A Crash Course in Open Access and Publishing Your Research in OA, Topic Modeling Theory and Practice, Building Your Research Profile and Network, Creating Digital Books with PressBooks, Do You Know Your Fair Use Rights?, Choosing the Right Sources: Identifying Bias and Fallacies, Basics of Data Visualization, and Add Captions to Kaltura video with Automatic Speech Recognition. The staff here at the Scholarly Commons is always ready to welcome you! Our Scholarly Commons interns, Matt Pitchford and Clay Alsup are back, as well as Megan Ozeran, our data analytics and visualization resident librarian! You can request a consultation with them or any other staff member on our Contact an Expert page. 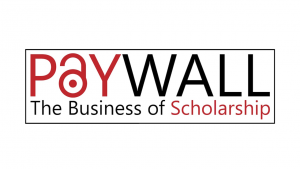 We’re happy to announce that Scholarly Commons intern Matt Pitchford is teaching a series of two Savvy Researcher Workshops on Topic Modeling. You may be following Matt’s posts on Studying Rhetorical Responses to Terrorism on Twitter or Preparing Your Data for Topic Modeling on Commons Knowledge, and now is your chance to learn the basics from the master! The workshops will be held on Wednesday, December 6th and Friday, December 8th. See below for more details! Topic models are a computational method of identifying and grouping interrelated words in any set of texts. In this workshop we will focus on how topic models work, what kinds of academic questions topic models can help answer, what they allow researchers to see, and what they can obfuscate. This will be a conversation about topic models as a tool and method for digital humanities research. In part 2, we will actually construct some topic models using MALLET. In this workshop, we will use MALLET, a java based package, to construct and analyze a topic model. Topic models are a computational method of identifying and grouping interrelated words in any set of text. This workshop will focus on how to correctly set up the code, understand the output of the model, and how to refine the code for best results. No experience necessary. You do not need to have attended Part I in order to attend this workshop. We hope you’ll be able to join us at his public talk in March! On Tuesday, November 14, 2-3pm in 106 Main Library, Librarians Dan Tracy, David Morris, Antonio Sotomayor and Harriett Green will be speaking about their experiences at the inaugural Association for Research Libraries’ Digital Scholarship Institute. Held in June 2017 at Boston College, the Institute introduced librarians who are not currently involved in digital scholarship to the methodologies and tools for such work. This multi-institutional initiative, led in part by the University of Illinois, aims to facilitate broader transformations in academic libraries and create a strong community of practice around digital scholarship work. Harriett Green and Dan Tracy will speak about their involvement in organizing and teaching for the Digital Scholarship Institute, and Antonio Sotomayor and David Morris will share their experiences attending the first Institute. It’s that time of year again! 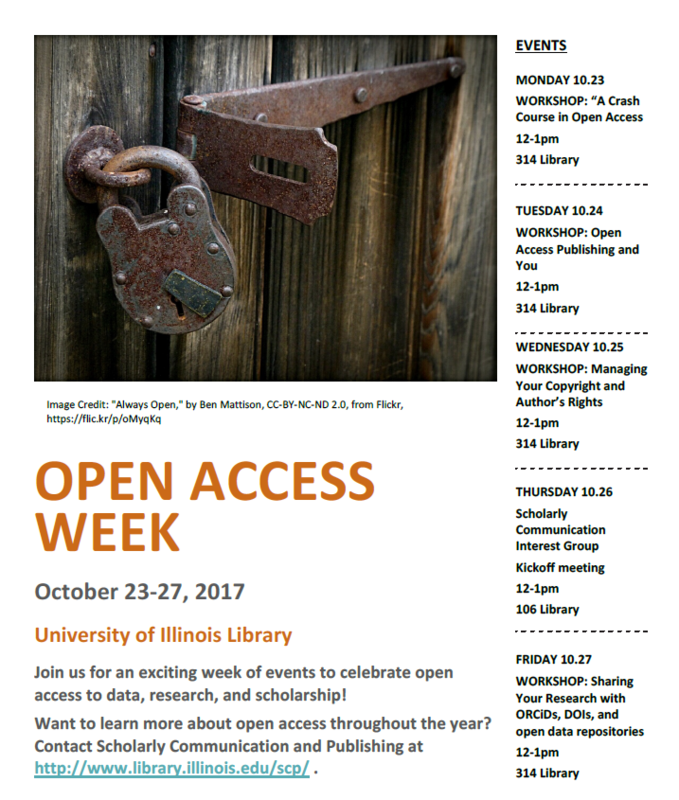 Open Access Week is October 23-27, and the University of Illinois Library is excited to participate. Open Access Week is an international event where the academic and research community come together to learn about Open Access and to share that knowledge with others. In its eighth year, the U of I Library has a great week of events planned! 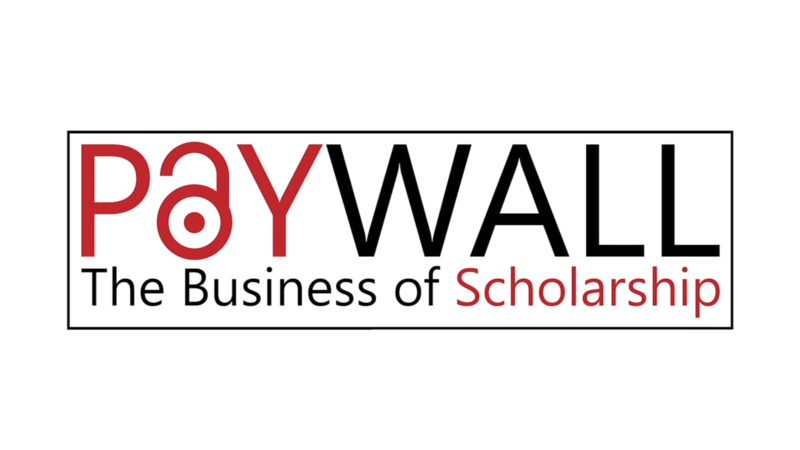 Fore more information on open access, visit the Scholarly Communication and Publishing website.